The Great British Entrepreneur Awards have named a Leicestershire businessman as Innovation Entrepreneur of the Year. Dr Nik Kotecha OBE, who is Chief Executive of Loughborough-based Morningside Pharmaceuticals, won his category at the regional ceremony for the Midlands, held at the Edgbaston Stadium, Birmingham. The annual awards acknowledge the hard work and inspiring stories of British entrepreneurs and businesses in Great Britain. For the Innovation Entrepreneur of the Year category the judges were looking for tenacious and analytical innovators, who are creative and problem solvers by nature, with a real drive to improve their sectors and challenge the status quo. The award was presented by Wynne Evans, famous for his performances as a tenor, in well-known insurance adverts, and entrepreneur Oli Barrett MBE. “I was truly humbled to be nominated for this award alongside so many amazing entrepreneurs, who are using innovation and a pioneering approach to do great things. “To win this award is a great honour and is very special for me, as Morningside has been built on using innovation to embrace challenges with heavy investment, including research and development and launching new niche molecules. “The end result has led to greater choice for both pharmacists and patients, as we have developed new ways to take the medicines we manufacture. These include slow and prolonged release tablets and capsules, as well as under the tongue dissolvable tablets. “We were also immensely proud to be the first company to launch the generic version of the contraceptive pill in the UK. Morningside Pharmaceuticals specialises in manufacturing and supplying generic and branded pharmaceuticals to UK hospitals and pharmacies, as well as essential medicines to global aid agencies. 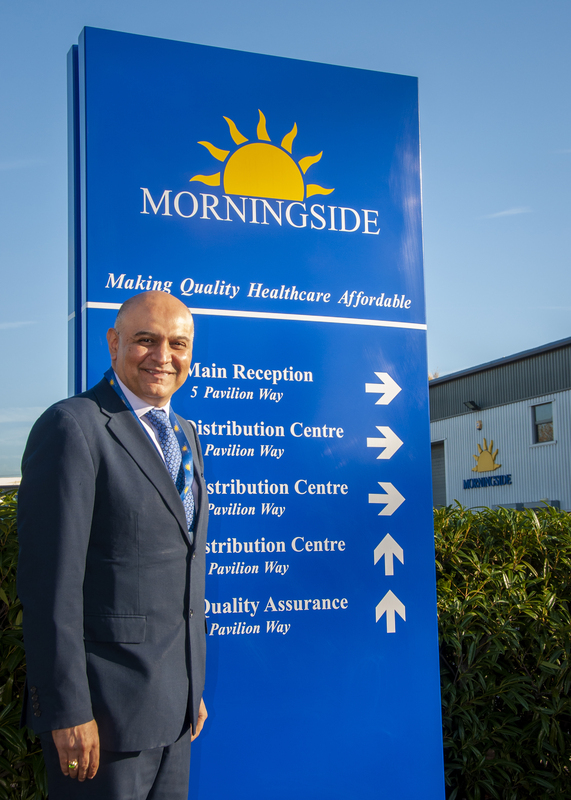 “Dr Kotecha's commercial acumen, combined with his in-depth research background, has enabled both Morningside and himself to become even more charitable when experiencing growth." "A very impressive success story with social investment alongside international expansion." The awards are held in five regions across the UK with the winners from each region winning through to the national final.